Applications: For applying a profiled edge to granite, marble and other masonry slabs and worktops using angle grinders or industrial polishing machines. These wheels offer a solution to users with reasonable level of skill to profile a worktop by hand instead of having to transport it to a table-fed router machine. 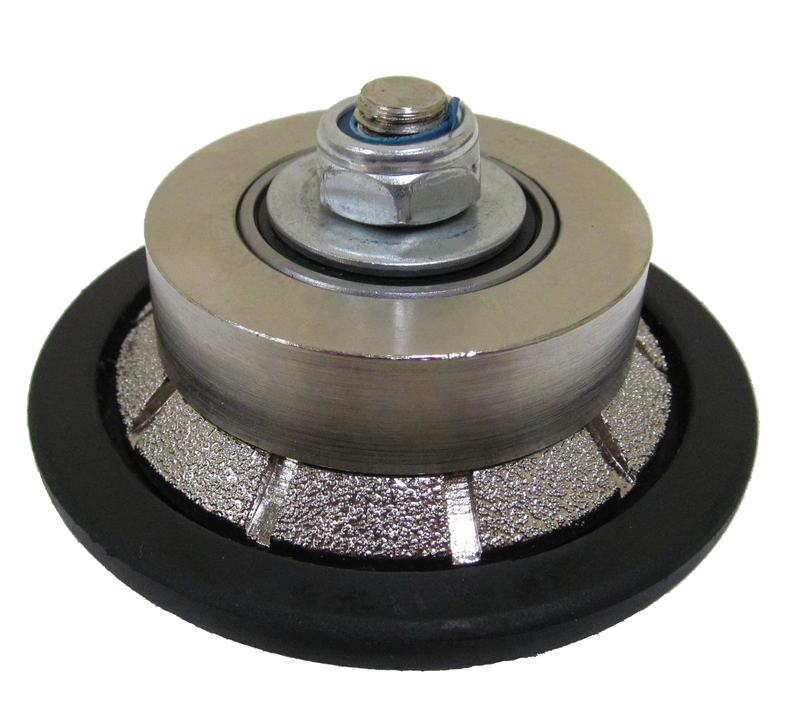 In order to achieve good even result on the demi-bullnose and bevel wheels, there are top and lateral guide wheels. 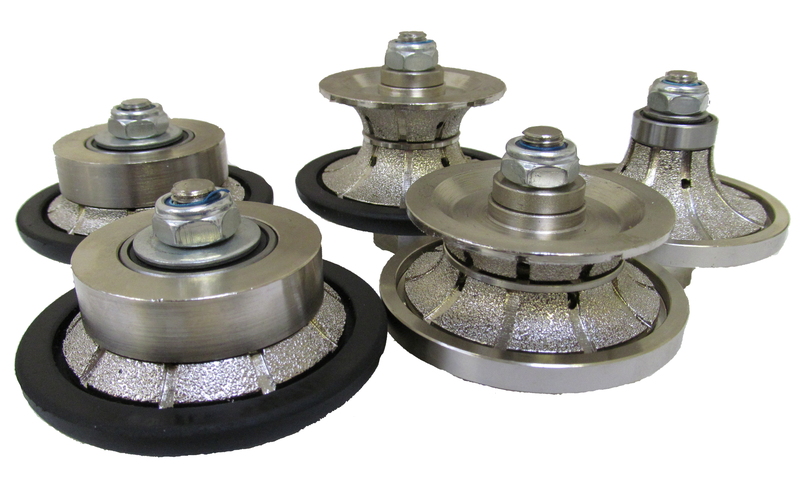 After profiling with these wheels the surface can be polished if required. 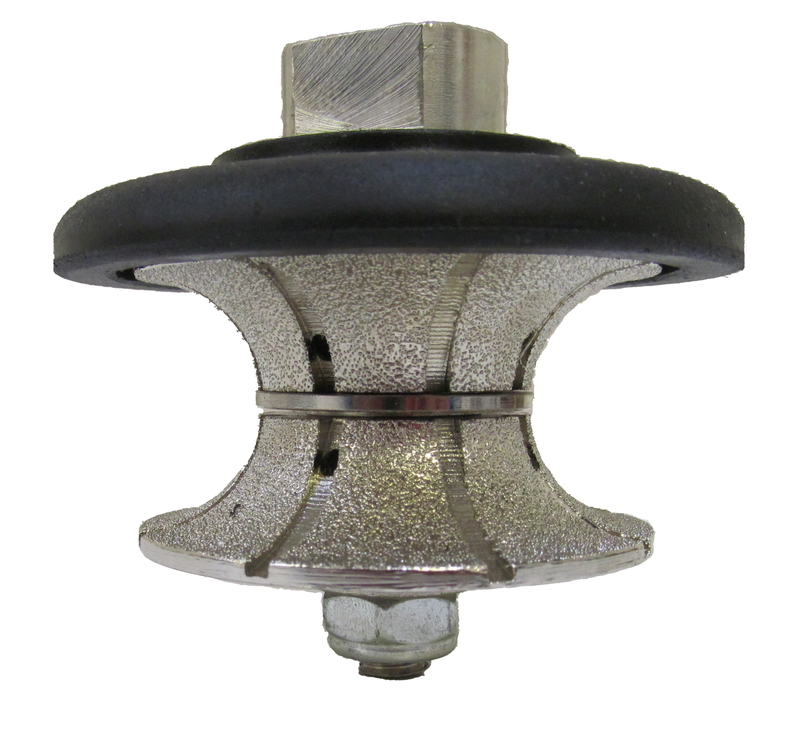 Vacuum brazed diamond gives a hard a durable bond. M14 fixing for use on standard UK and European angle grinders. 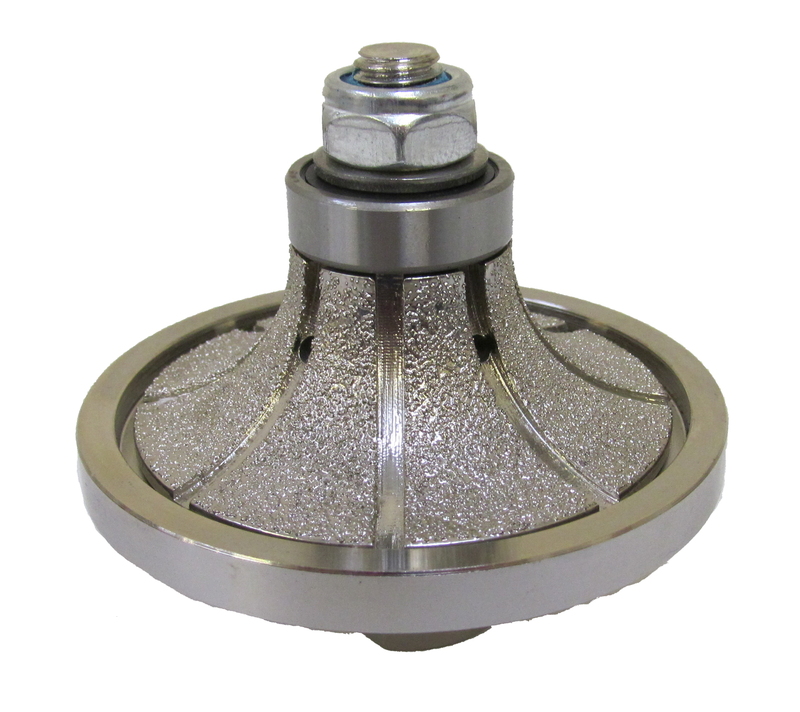 Demi-bullnose and Bevel wheels have top guides for vertical control and lower bearing wheels for horizontal guide. Medium grade finish. Suitable for diamond polishing. Tips: Support worktop adequately. Work along full length with even pressure and careful alignment. Do not apply excessive pressure. Allow the profile to develop in steady even sweeps. 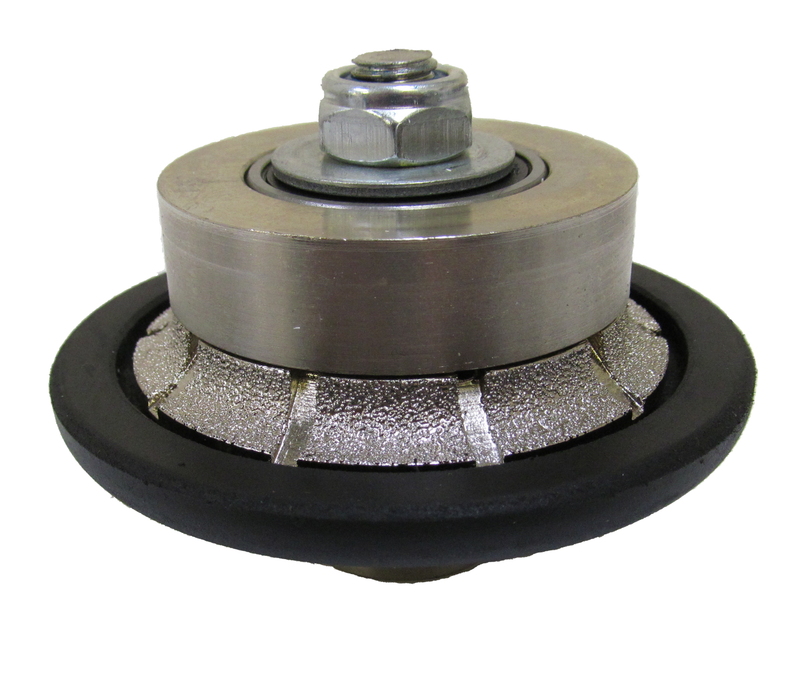 Also Available: After profile grinding, you can polish the granite using diamond polishing pads.